This active child advocate thought she was heading toward hip replacement, but as Carolyn will tell you, she “received immediate relief after MG Pro”! 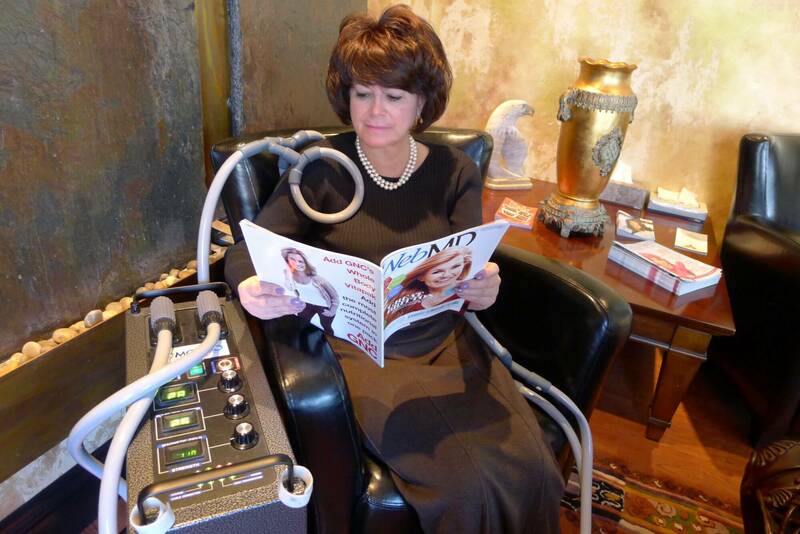 You might have heard about pulsed electro magnetic therapy on Dr. Oz, when he introduced this revolutionary cure for pain, that is dramatically improving lives. Carolyn was not alone, as far as experiencing chronic pain. One out of every three people suffer from chronic pain and MG Pro uses energy waves that change the way your body copes with pain, giving you instant relief – allowing the cells to repair and regenerate. Carolyn states…”MG Pro was such a foreign concept – I didn’t even have an expectation – just HOPE, since everything I had experienced at the Guyer Institute seemed so miraculous. The results with MG Pro have been one more thrilling outcome.” She goes on to say that she started with MG Pro as “crisis care” initially, but now uses it as “lifestyle care”. Carolyn also had lost significant range of motion in her upper right arm (rotator cuff) and after three sessions of MG Pro, now has full range of motion again. Call 317-580-WELL and see how you can receive your first treatment free. Ask about getting re-charged today! Continue to follow us on Facebook, so you will know details about our upcoming “appetizers with the doc” and seminar on MG PRO, with complimentary mini-sessions that evening.